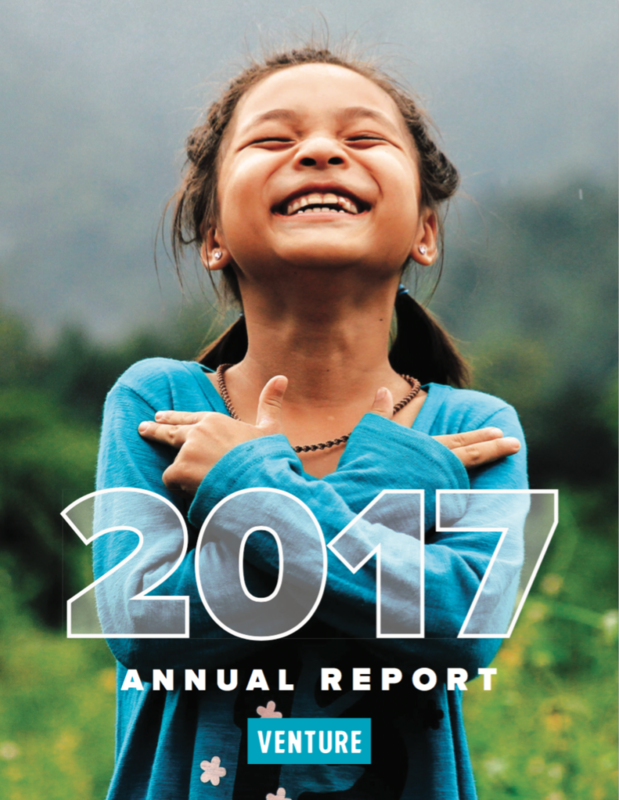 We’re thrilled and honored to be included in Venture’s annual report this year. 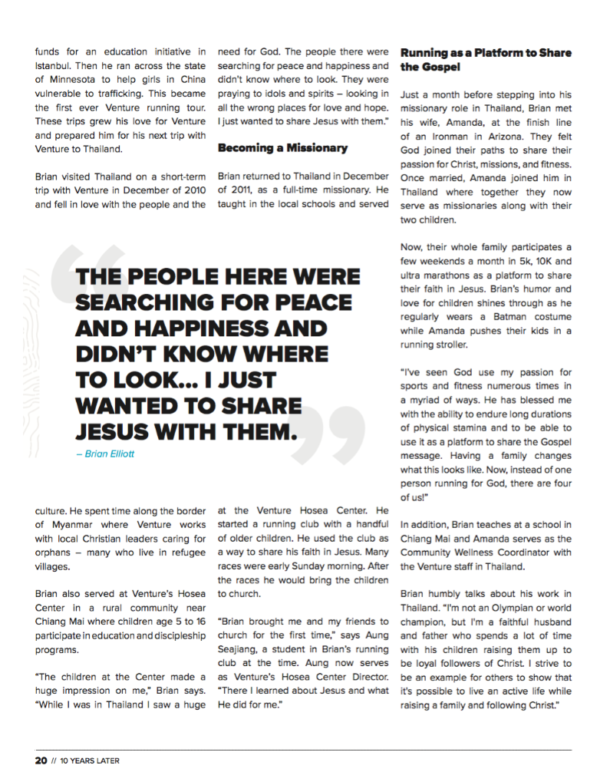 Brian recently sat down with friend and fellow Venture missionary (who wrote the article) to span his history from first contact with Venture (to ride his bicycle across America) to our currently unfolding story of serving with Venture in Thailand for 5+ years. We are excited to share this with you! 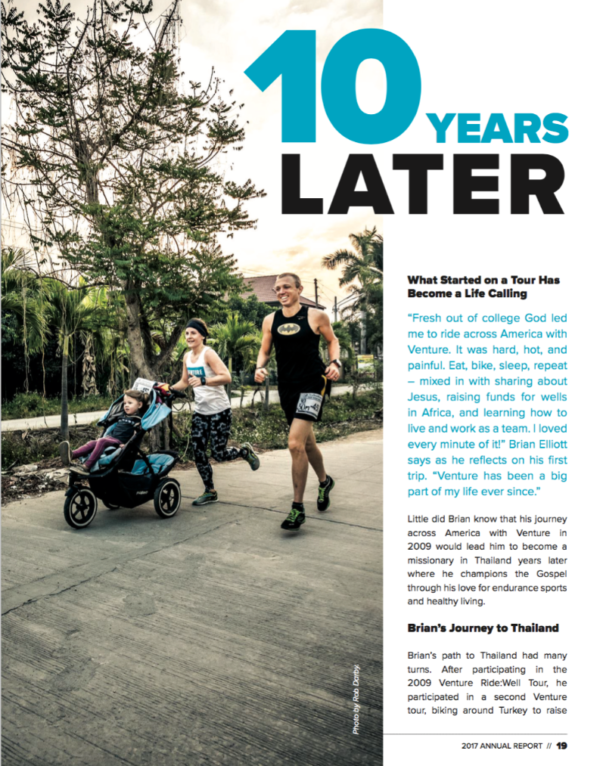 The ’10 Years Later’ article starts on page 19, but we encourage you to flip through the entire issue. There are a host of God-filled, beautiful and inspiring happenings in here.